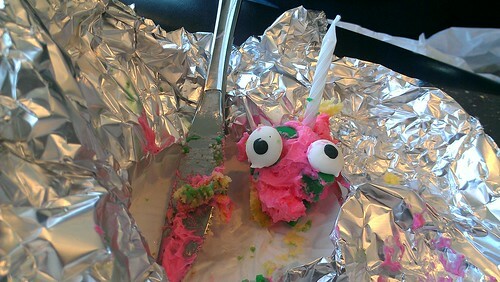 It's a funny thing about regional baked goods. Sometimes, you don't realize they're regional until you move away from an area. 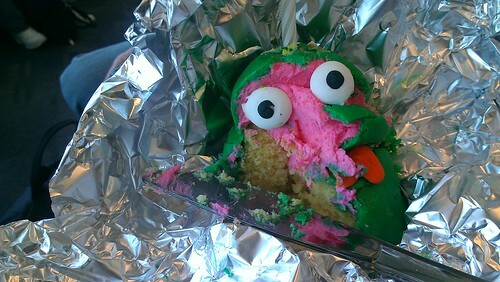 And for me, one such baked good is the St. Patrick's Day Frog Cupcake. I grew up in a magical part of the world known as the Jersey Shore. 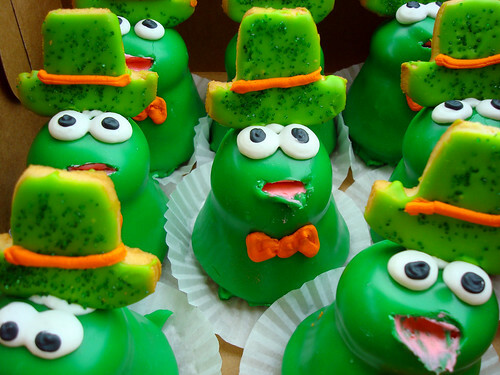 And every year around the first of March through St. Patrick's day, local bakeries such as Freedman's Bakery would bake up a very interesting confection: the frog cupcake. 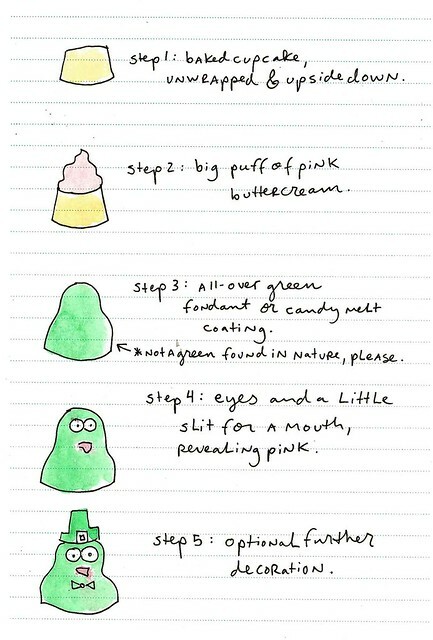 Now, chances are, if you aren't a local in the NY metro area, you may never have seen this glorious confection. For me, it wasn't until I relocated to Seattle for a time that I realized that this wasn't an everywhere treat. So what gives? Next sighting - bakeries in the NY Metro area in the 1960s-70s. 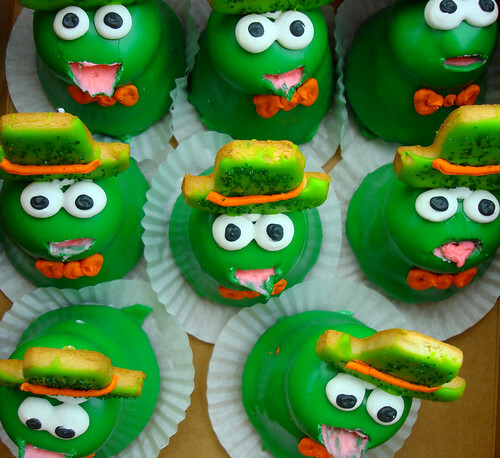 These are the frogs of our childhood, and all the local bakeries (Coquelle’s, New Garden) in the Newark NJ area had them for St. Patrick’s Day (and ONLY then). Frogs found in Central Jersey! In fact they were there all along, probably as long as the Northern NJ frogs – we just didn’t know. Vaccaro’s in Clark NJ saves St. Patty’s Day! An internet search leads to the discovery of La Delice in NYC – another older bakery which has had them for a long time. And these frogs don’t hibernate – they proudly show their googly eyes every day of the year. 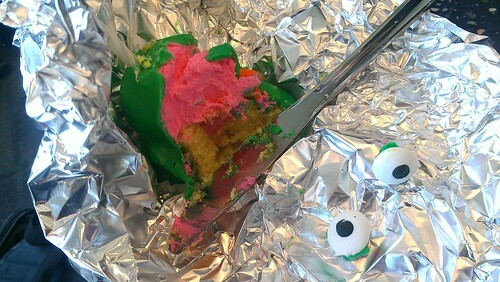 The fantastic creators of the Follow Your Frog site have even started something called FrogFest, which pits frog cupcake makers from NY, NJ, and PA against one another to see whose frogs are the finest. My goodness, why haven't I been to one of these? As the site notes, and as I can attest, the frog is a dying breed. 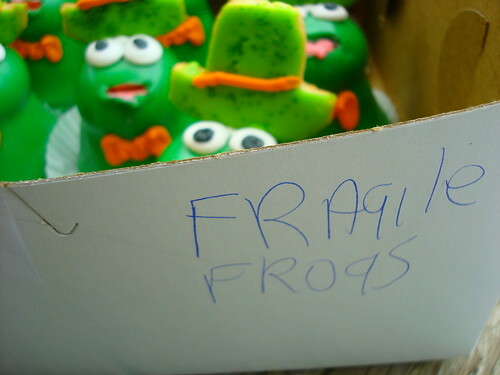 When I visited Freedman's in Belmar recently, which is under new ownership since my childhood, the employee had no idea what I was talking about when I inquired about frog cupcakes. A longtime employee's face, however, lit up as she said "Oh my god! I remember the frogs. They were like sugar bombs! So good!". 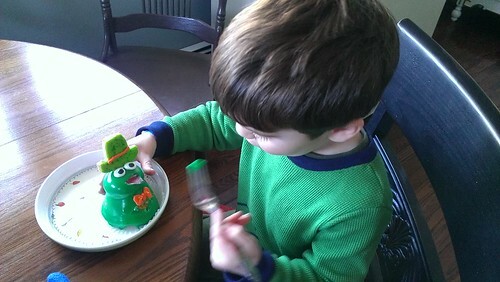 It is humane to remove the eyes before eating, but that's not to say you can't have a little torturous fun with your frog. Sensitive readers may want to skip the next few photos. OK, OK. I hope I've expanded your sweet horizons by offering you the fable of the Jersey Shore frog today. If you're curious, I highly suggest visiting the Follow Your Frog website, where you can find frogs and report sightings! 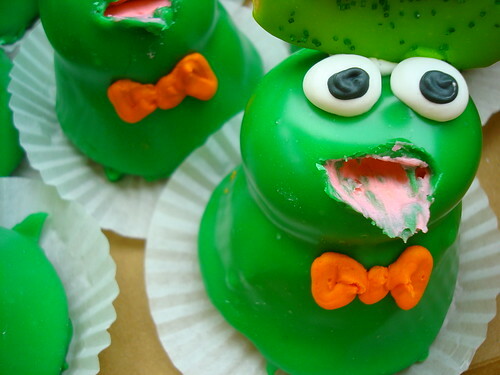 It may not be easy being green for these frogs, but life is certainly sweet for the eaters of these treats.